As we move closer to the middle of 2013, Windows 8 is still growing its share steadily but slowly, as Windows XP and Vista decline. Last month, Windows 7 managed to regain some share, showing that despite its recent declines, it’s still going to be used for quite some time. The latest market share data from Net Applications shows that May 2013 was a decent one for Windows 8, which gained 0.43 percentage points (from 3.84 percent to 4.27 percent) while Windows 7 grabbed 0.13 percentage points (from 44.72 percent to 44.85 percent). Windows 8 isn’t growing as quickly as some would have hoped. It gained 0.66 percentage points in December, meaning all five months in 2013 so far have seen smaller gains. There are many reasons for this, but the biggest one is officially called Windows 8.1. The next version of Microsoft’s operating system will be a free update for Windows 8 users, available via the Window Store. Microsoft has already offered a lot of information on what to expect, and even more details are coming later this month at Build 2013. It’s no surprise most Windows users are perfectly okay with waiting before upgrading to Windows 8. In January, Windows 7 lost market share for the first time since its release, just a month after passing the 45 percent mark. It’s hovering just below that mark, though we doubt it will ever reach it again. Windows Vista meanwhile lost another 0.24 percentage points (from 4.75 percent to 4.51 percent), after finally falling below the 5 percent mark in March. Windows XP lost the most, 0.57 percentage points (from 38.31 percent to 37.74 percent). 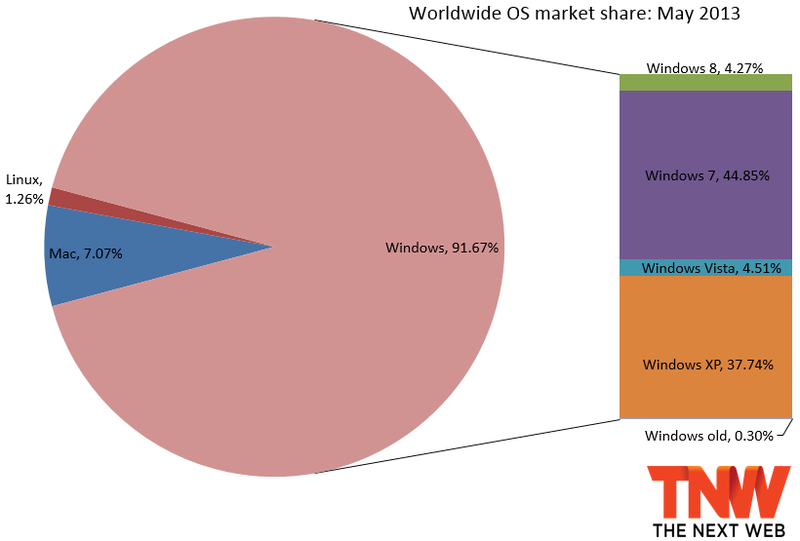 At the end of 2012, Windows as a whole managed to increase its market share after six months of losses, mainly thanks to Windows 7 and Windows 8. In 2013, however, Windows has lost share during every month except for March. 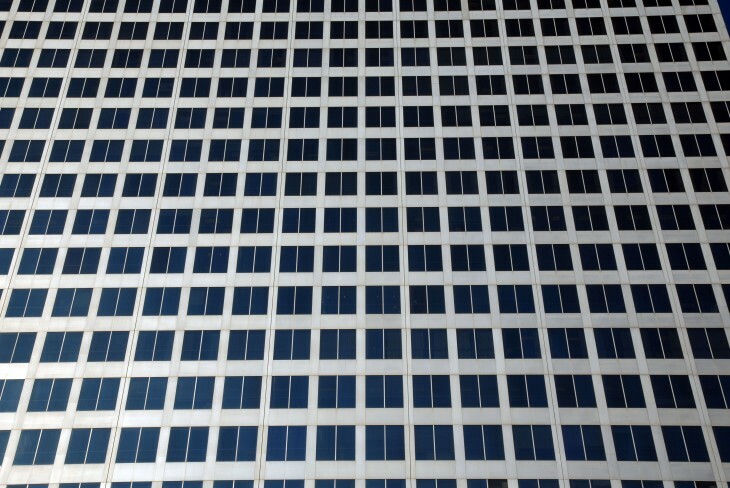 Between April and May, Windows lost 0.11 percentage points (from 91.78 percent to 91.67 percent). This loss was OS X’s and Linux’s gain, which grabbed 0.06 percentage points (to 7.07 percent) and 0.05 percentage points (to 1.26 percent), respectively. Net Applications uses data captured from 160 million unique visitors each month. The service monitors some 40,000 Web sites for its clients. StatCounter is another popular service for watching market share moves; the company looks at 15 billion page views. To us, it makes more sense to keep track of users than of page views, but if you prefer the latter, the equivalent data is available here (Windows 8 is at 5.28 percent, but again, that’s from a different market share pie).